Word of Warcraft Play Cards. Wallpapers, photos, paintings for your PC! High quality World Of Warcraft (Wow) Play Card. Colored and as scrapbook + lineart. Final Fantasy XIII is a role-playing game from the Final Fantasy series which, with no doubt, will become the most popular advanced role playing game created ever. The game was first announced at E3 2006, and even if Square Enix has stated that there is no confirmed release date yet, the game is planned to be in stores in Japan around 2009 on PlayStation 3. Several new features will be introduced such as new equipment system, better IA control for characters, returning of some old concepts for the game along with a new battle system. A playable demo will be available in March 2009 for those who will buy Final Fantasy VII : Advent Children Complete. The game will also have online features. The main character is Raitoningu, young woman with rose-blond hair. A cute picture of a kitten walking on the grass. 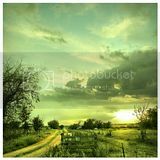 Photography of nature after rain, green and yellow tones. World of Warcraft gaming card, very beautiful one! WoW is a MMORPG released by Blizzard. The first release of the series was in early 90. It's on of the most played games in the world holding an amazing 63% market share which represents about ten millions of players! A huge community! A new released will be done in November this year (2008). Minimum system requirements to play the game are a Windows based PC (XP, Vista), Pentium III - 8000 mhz, 512 Mb of RAM, a graphic video card with 32 MB, about 7 GB of free HDD space, 4x CD-ROM drive and a dsl internet connection. World of Warcraft playing card with lineart shown. Amazing speed painting of a futuristic spaceship robot !